Black Knight 6 to 8 inch Single black/red with gold streaks. 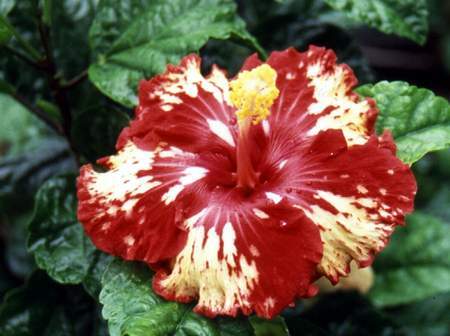 Grows fast, with spectacular blooms. 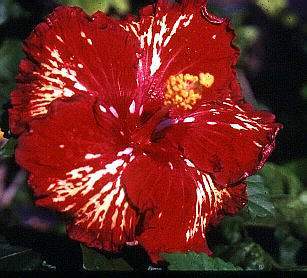 Australian Hibiscus of the year!! Sometimes has more yellow than shown above.